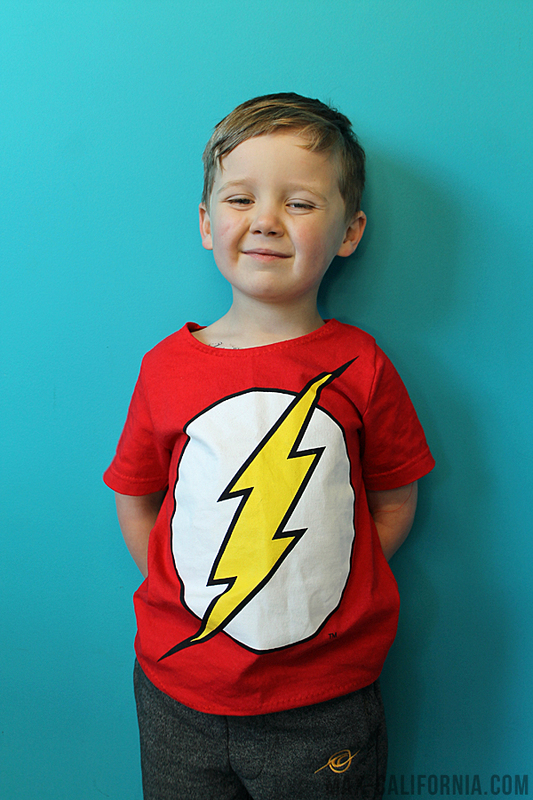 I bought a huge Flash tee like last year, intending to make it into something cute for me. Oh how I severely underestimated my son's big blue eyes and his "Pweeeeease?" That's his fake smile. He learned how to fake smile because whenever we go places, tourists stop us to ask if they can take photos with my children. It was incredible in New Zealand, so many people wanting to pose with my children! Looks great! 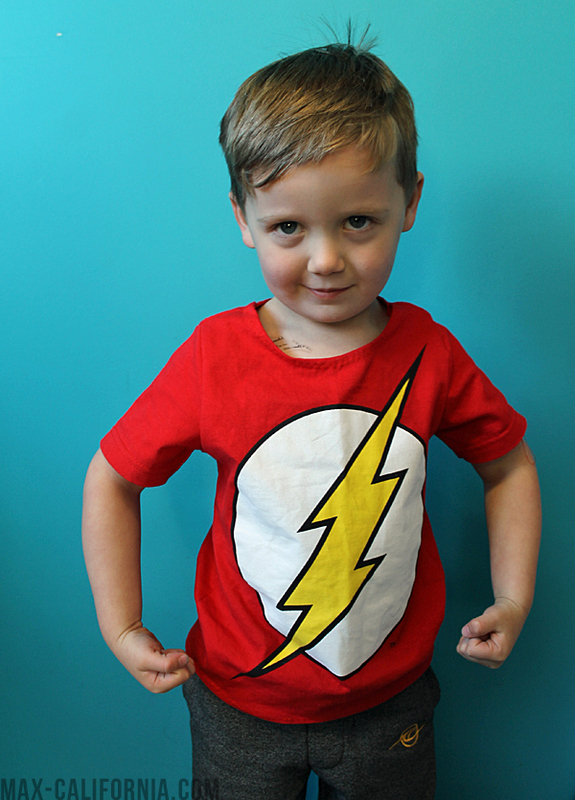 I'm about make Max a flash costume for his super hero party! My son has not yet learned to ask for clothes, but sometimes "pweeese" asks for furniture and bedding for his stuffed animals and Lego men. This is really an adorable shirt, and reminds me that I have a beer shirt I need to cut down for my little one (he specifically asked for this "beew" shirt to be his).